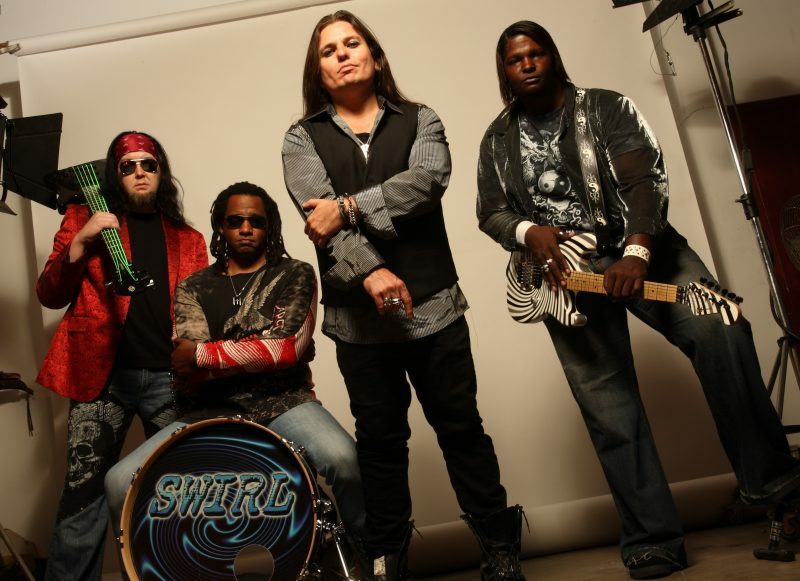 Swirl is currently from sunny Southern California with half the band in Temecula and the other half in Pasadena. Swirl was born in the Pacific Northwest. A little town called Mukilteo, WA. The current incarnation which has been together for 9 years now. In fact, we were kind of “put together” by Claude Schnell (former keyboardist for Dio). He was looking to record with a band that needed a guitar player and he asked if I would be willing to write with them so we could record together. It never got that far. Shortly after I joined up I recruited Shane and Alfred for Swirl. With as many diverse musical interests as the members of Swirl have I honestly don`t know how else to describe our sound other than “it’s in the name”. We each bring our own influences to this band to create what you hear. However, in 2017 The Huffington Post did a review and stated “they sound like an amalgamation of Slipknot and AC/DC”. Very flattering indeed as those are two very good bands with incredible careers. I have also read “…an interesting and diverse band to check out, as they combine the best of the past 20 years of American Rock/ Hardrock” which personally I think sums us up pretty succinctly. Great question. Standing on stage at Wembley Arena, playing to a sold out audience where Swirl is the headliner and as we are getting ready to start the first chorus of our latest single, “The Lift” the power goes out on the electric guitars causing a delay in the performance. Strangely enough the microphones still work, but not the electric instruments. Before we lose the moment entirely and ruin the night the band gets handed acoustic guitars and we sit on the edge of the stage playing “The Lift” while the entire crowd sings the song back to the band! Yeah that would be my “it can`t get any better than this” moment. Well my “day job” is coaching football. As of this interview the season is over so I can put all my energy into promoting Swirl. Brian is a drum instructor so he is “behind the kit” all day anyway. Alfred has a night job, but Shane still has his day job….for now. None. If I did it I had a reason. Not saying it was the best of reasons, but clearly I thought it was the way to go at that time. None of us are getting out of here alive so might as well have some fun right?